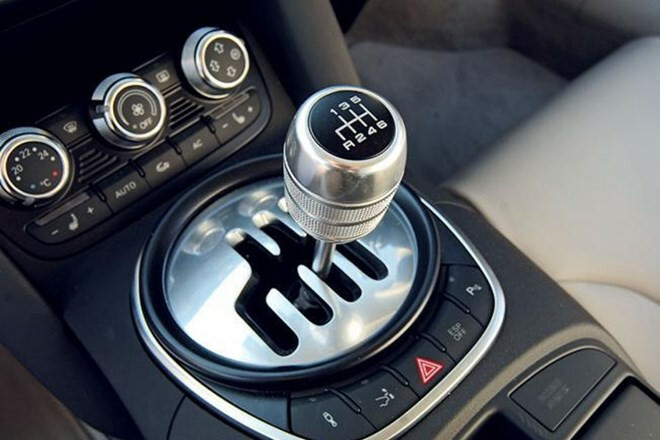 ..:: How to drive a stick shift car – Safety tips for new drivers | PTI.COM.VN ::..
A manual transmission (MT) car is the choice of most new drivers. After you get familiar with MT cars, driving an automatic transmission (AT) vehicle is simpler than ever. In addition to basic driving skills, you must know how to drive your car in the best way such as avoiding holding onto the clutch too long or changing the gear when the engine is not ready. There is a fact that most drivers in Vietnam often shift the gear at an improper RPM, causing the car to be jerky. If you shift to a higher gear when car has not picked up sufficient speed, the engine will be lugged down. If you shift the stick properly, it can engage in the next gear easily and the engine will be more durable. In addition, if you switch to the next gear quickly (releasing the brake and footing on the clutch instantly – shifting the stick – dropping the clutch and pressing on the accelerator) and get over any obstacles on the road well, the car will run faster and more smoothly. Operating the clutch well is always a problem for everyone when riding on an MT car. However, the pedal makes MT vehicles so much safer. If you want your car to run smoothly, remember to press the clutch to the floor and when the clutch is released almost completely, stop for about 3 to 5 seconds for the wheels to start moving and then completely foot off the clutch. If the car does not stop suddenly or does not move too fast when you push the pedal, you are using it properly and your car will be more durable. When riding on crowded streets or roads in bad condition, it is also a good idea to press the clutch regularly to keep the vehicle from jerking. In a driving test, doing a hill start is the most difficult part as the engine will stall if the clutch is engaged too quickly. If you use the tips you were told during driving lessons, that is engaging the clutch, then the parking brake and finally the accelerator or the clutch, then the brake pedal and finally the accelerator continuously when you get stuck on hills or sloping streets, you will be very tired and sweating a lot. If you want to do hill starts easily, you need to practice using the clutch and the brake smoothly so that you can hold the car on the slope with just the two pedals. This means you must release the clutch and press the brake properly and if the car rolls backwards, you will have to hold down the brake a little harder and if the car crawls forwards, all you need is to lift off the brake a little. How to use the parking brake? Many drivers often use the hand brake when doing a hill start and if the car starts rolling downhill, they will use the parking brake to stop this. 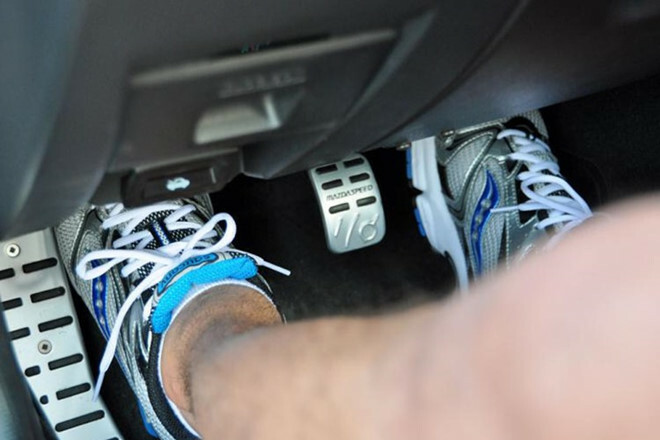 In fact, the handbrake is not designed for stopping a running vehicle, it is only used to keep the car immobilized when the vehicle is completely stopped. Trying to stop the car with just the hand brake is improper and dangerous. If the parking brake is not released totally before you drive, it will become worn and the brake pad will be damaged. However, what is more dangerous is that the brake fluid becomes too heated and the brake will not work. It is safer and easier for you to do hill starts in the same way you learnt during driving lessons. Switching to the neutral gear while riding a manual transmission vehicle is not recommended by car experts. Because when the stick is shifted to the neutral gear, your car will run forwards freely, preventing you from controlling the speed and avoiding obstacles. Especially, you must not switch to the neutral gear when the car is going downhill as the brake becomes too heated and does not work. Many drivers shift to the neutral gear because they want to save fuel and consequently get into unexpected trouble. If you want to pass another car on the road, you need to shift to a lower gear (often the third gear) and press the brake to avoid damaging the engine and the clutch. Using the horn and the turn signal will help you pass other cars safely. After that, you can switch to the fifth gear to save fuel.